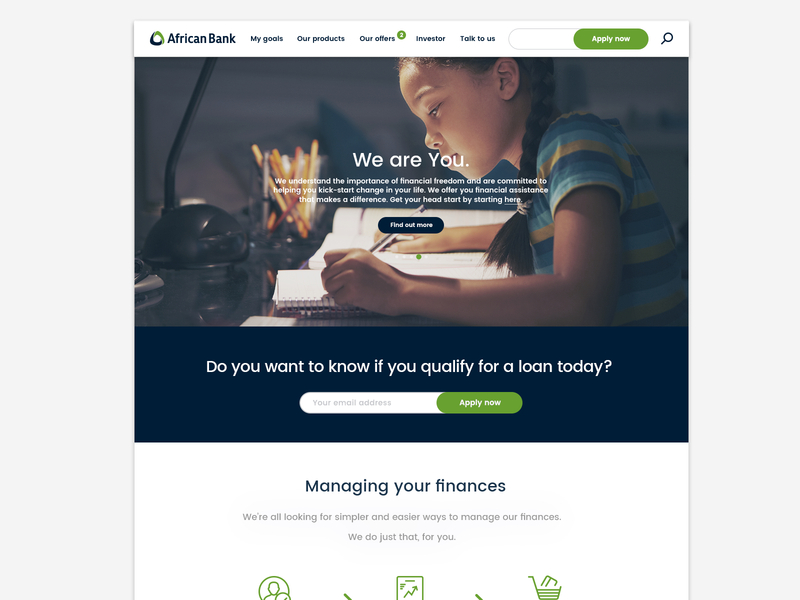 We were given the opportunity to redesign African Bank’s Website after a corporate identity overhaul in combination with a revised in-company strategy. The briefed requirements included creating a marketing mind shift and to reposition the bank from being loan-orientated to having a broader range of services as well as a greater brand presence. As such the Website design had to convey a newly found confidence and encourage user-interaction through good design and user experience. The solution was a complete re-development of the site, refining the look and feel as well as the functionality to enhance the users experience and sentiment on the site. We created a site that made banking accessible and easy. We also updated the website to make ensure that it was functional on all devices. 2019 © Jo-Ann Bishop. All rights reserved.